What drew you to DRA? I went to law school thinking I wanted to practice environmental law, but soon realized that my real interest lay in civil rights. I knew I wanted to pursue public interest work, and when I met some of the attorneys from DRA, I was very excited about the work they were doing. 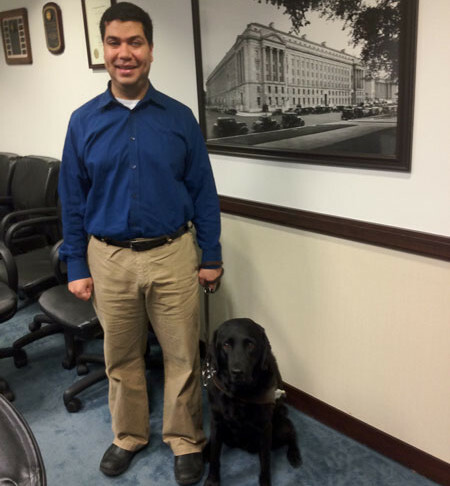 I am legally blind, so disability rights work is very personally meaningful to me, and when Sid and Larry offered me the chance at a fellowship, I jumped at the opportunity. What was your focus at DRA? At the time I was a fellow, DRA was beginning to work on improving access to technology, and the internet was still largely inaccessible—which was a problem that I had personally experienced. Target had one of the most inaccessible websites at that time, and I helped put together the case against them. Back then, the law was unclear as to whether the ADA applied to the Internet, and we succeeded in creating an important legal precedent: It was the first case that established that the ADA required access to commercial websites of any kind. After that, we worked with Amazon to make their website accessible. It was an incredible experience, and I’m so grateful to DRA for giving me the opportunity to make such a difference in the law and for so many people. How did your fellowship impact what you went on to do? I had amazing litigation experience on a wide range of cases early on in my career. The Target case in particular was integral to my later advancement and is one of the reasons I am where I am now.